SUMMARY: Few strategies can pay off like the classics: doing research, segmenting your audience, and discovering why they like you. Once you know your customers' motivations, you can design more relevant marketing campaigns. Read how the marketing team at an online community used customer research to identify key motivators for their customer segments. Then, they used that research to develop a campaign that's helping drive 200% more registrations every month. GradeGuru, a website that lets college students share class notes and study materials, launched in July 2008 in the US. Because the site generates revenue from advertising, Emily Sawtell, Founder and Managing Director, needed a marketing strategy that would quickly attract members and spur activity on the site. "My stats and my goals are all about how many contributors I have. How many notes did they put on there? How many people are looking at them? How often are people coming to the site? How often are they coming back? They are the fundamental drivers of my business success," says Sawtell. But to fine-tune their marketing, they embarked on a research project to learn more about each group. They wanted to know what motivated different types of students to study, and how those motivations could be translated into effective marketing. 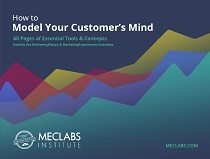 Below, read how they identified the motivation of key customer segments, and how they used those insights to develop a marketing campaign that's helped increase registrations 200% and tripled the rate of content uploads. Sawtell's team used a third-party research firm that specializes in mining social media -- such as blogs, social networks, and forums -- for market insights. This group of note-contributing students always has their homework done on time. They're well organized and they typically do well in school. The largest sub-segment of Forward Thinkers is motivated by fear of failure. They need positive reinforcement, and in the university environment,"there's not a lot that's given," Sawtell says. This smaller sub-segment loves learning and has a deep interest in its topic of study. This group of note-contributors is busy. They likely have a part time job, support themselves through college, or have other commitments in addition to school. Receiving tangible rewards and saving time are important to this group. These well-intentioned students typically start the semester off well, but end up falling behind. They want to know how to "crack the code to effective studying," Sawtell says. This group of note users wants the quickest, easiest path to success. They have a "bit of an ROI perspective on studying,"Sawtell says. After completing the research, Sawtell and her team focused their marketing efforts on the largest portion of their note-contributing audience: Forward Thinking-Fearfuls. They wanted a campaign that would encourage those customers to join the site and contribute a large volume of high-quality notes. That activity, in turn, would help attract more users. Before the study, the team considered a laptop giveaway to help build interest in the site. But after seeing how much of their audience was motivated by fear of failure and need for positive reinforcement, they scrapped the idea. Instead, they offered a grant based on academic excellence. The program would appeal to Forward Thinking-Fearfuls because it offered recognition for their efforts. But the team also believed the program would appeal to note-contributing Multitaskers, who were interested in tangible rewards. The team set aside $1,500 for the GradeGuru Grant for Academic Excellence. They would award the grant to the student who earned the most points on the GradeGuru site during the second college semester (Feb. 9 through May 30). GradeGuru site points are based on the quantity and quality of notes a student contributes. Quality is determined by an algorithm that factors in the note's user ratings, reviews, and the number of times the file has been downloaded. The team also paid to sponsor portions of on-campus newspapers, such as the Sudoku or crossword puzzles. The team used ambassadors on several US campuses to promote GradeGuru to students through flyers, posters, and discussion. Sawtell's team supplied the ambassadors with information on the market segments and their motivations to help guide their dialogue. They also pushed similar efforts through partnerships with several on-campus fraternities and sororities. On-campus ambassadors also promoted the grant through Facebook by hosting note-sharing events. Sawtell's team also has a Facebook page, but has not promoted the grant on Facebook with display advertising. "We tested that with this type of messaging, and it's not the right fit. This idea of getting recognition requires that you be seen as a legitimate academic resource and that you're authoritative. It doesn't help to be advertising on Facebook for this kind of thing. It just detracts from the worth, almost," Sawtell says. The team promoted the grant in the central ad position on GradeGuru's website. They also sent three emails mentioning the grant to their opt-in list. - The number of files uploaded per session has tripled. - "The top guru this semester has contributed about double the top guru of last semester," says Sawtell. Although the site's entire growth throughout the semester cannot be solely attributed to the Academic Excellence Grant, Sawtell considers it a major contributor.